DAVID Wotherspoon admits St Johnstone are still hurting after a crushing 6-0 loss to Celtic. St Johnstone captain Joe Shaughnessy has vowed to recover from the most embarrassing defeat of his career. Tommy Wright has refused to apologise to a St Johnstone supporter after the pair exchanged words during the 6-0 loss to Celtic. Dedication is what you need if you want to be a record breaker. Nobody will have a more positive mindset in the St Johnstone team that lines up against Celtic tomorrow afternoon than Ross Callachan. It took a late goal to thwart St Johnstone the last time they played Celtic. Leigh Griffiths’ predictable unpredictability makes him Celtic’s dangerman. 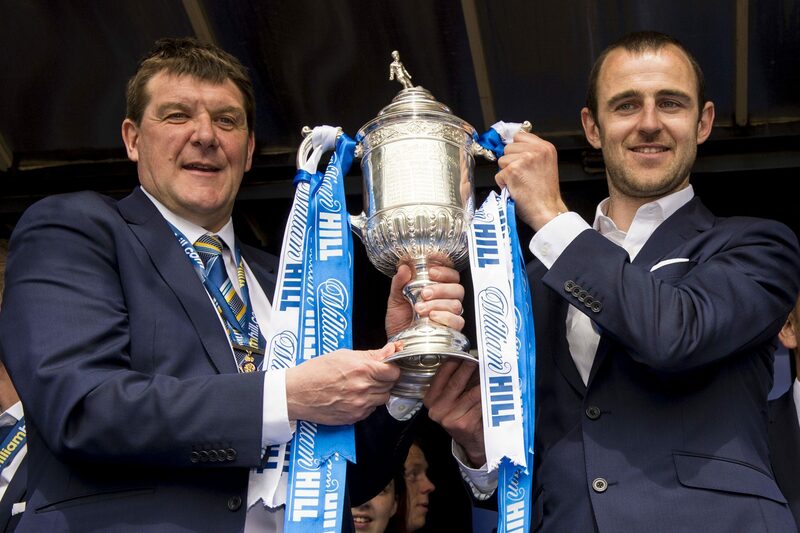 St Johnstone boss Tommy Wright has given his support to his Scottish Cup-winning captain Dave Mackay. Murray Davidson has an “outside chance” of being fit to face Celtic at the weekend, St Johnstone manager Tommy Wright revealed yesterday. St Johnstone may have just suffered their third defeat in the space of a week but skipper Joe Shaughnessy insists that while not happy with the results, they are not a cause for concern.